The ErP Directive is a mandatory piece of legislation, proposed by the European Union, which aims to bring in minimum standards for heating and hot water systems and comes into place as of the 26th September 2015. The directive is set to help the EU achieve its target of reducing energy usage by 20 per cent by 2020. In summary, the directive requires heating appliances with up to 400kW output to meet a set of requirements regarding their energy consumption, efficiency and carbon emissions. For gas boilers specifically, an integrated low-energy pump and will be mandatory and non-condensing boilers will no longer be allowed. 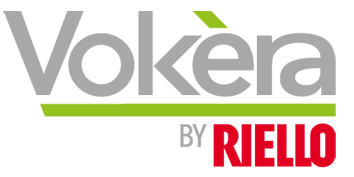 Installers will be responsible for providing the energy labelling for a complete heating system. 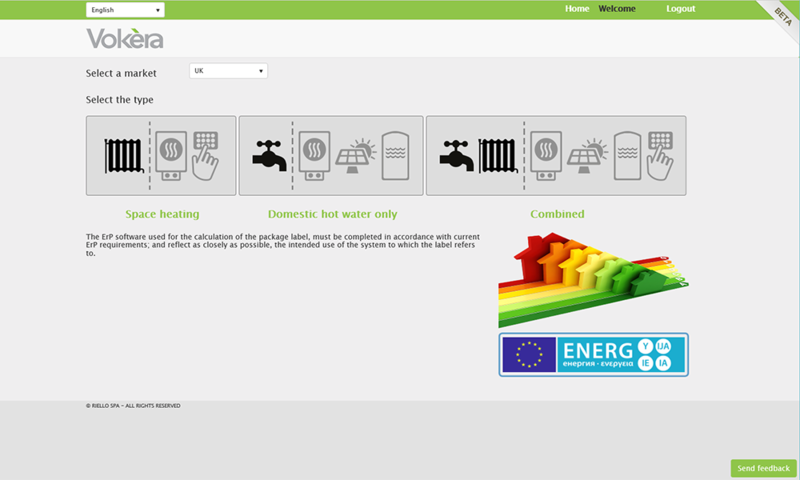 Installers will need to calculate a systems efficiency figure, based on the different components of a system. This will include the boiler, controls, heat pumps, etc. 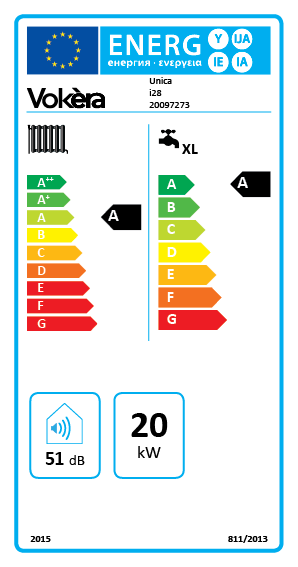 which will then be added to the energy efficiency ‘package label’ to complete the installation. How are boiler manufacturers helping? Boiler manufacturers, such as Vokèra will be responsible for ensuring that its products have compliant and correct energy labelling. Who will be policing the scheme? Enforcement of the directive will be carried out by The National Measurement Office through product testing and market surveillance. Any installer or manufacturer that is seen to be non-compliant could face legal action and even criminal prosecution. As an installer you will still be able to install products purchased prior to the 26th September 2015 but after this date, boiler manufacturers and installers will have to ensure that the products they use and the systems they commission, meet the minimum requirements within this new ErP directive. Space and water heating products will be required to have an energy label, already familiar on other white goods such as A+++ rated dishwashers/washing machines, and manufacturers will only be able to sell compliant products after 26th September 2015. Low-rated water heating products (such as those which might be rated in bands F or G) will not be permitted under the new directive. Will it cost you money? There is no reason for the ErP Directive to cost installers money. While training on the ErP Directive itself is not really required, Vokèra will be on hand to support you with tools and training to help you calculate system efficiency figure, with a dedicated email Q&A service: erpenquiry@vokera.co.uk. How can controls improve the ErP efficiency rating? Class I: Room Thermostat: A room thermostat that controls the on/off operation of a heater. Performance parameters, including switching differential and room temperature control accuracy are determined by the thermostat’s mechanical. Class II: Weather compensator control, for use with modulating heaters: A heater flow temperature control that varies the set point of the flow temperature of water leaving the heater dependent upon prevailing outside temperature and selected weather compensation curve. Control is achieved by modulating the output of the heater. Class III: Weather compensator control, for use with on/off output heaters: A heater flow temperature control that varies the set point of the flow temperature of water leaving the heater dependent upon prevailing outside temperature and selected weather compensation curve. Heater flow temperature is varied by controlling the on/off operation of the heater. Class IV: TPI room thermostat, for use with on/off output heaters: An electronic room thermostat that controls both thermostat cycle rate and in-cycle on/off ratio of the heater proportional to room temperature. TPI control strategy reduces mean water temperature, improves room temperature control accuracy and enhances system efficiency. Class V: Modulating room thermostat, for use with modulating heaters: An electronic room thermostat that varies the flow temperature of the water leaving the heater dependent upon measured room temperature deviation from room thermostat set point. Control is achieved by modulating the output of the heater. Class VI: Weather compensator and room sensor, for use with modulating heaters: A heater flow temperature control that varies the flow temperature of water leaving the heater dependent upon prevailing outside temperature and selected weather compensation curve. A room temperature sensor monitors room temperature and adjusts the compensation curve parallel displacement to improve room comfort. Control is achieved by modulating the output of the heater. Class VII: Weather compensator and room sensor, for use with on/off output heaters: A heater flow temperature control that varies the flow temperature of water leaving the heater dependent upon prevailing outside temperature and adjusts the compensation curve parallel displacement to improve room comfort. Heater flow temperature is varied by controlling the on/off operation of the heater. Class VIII: Multi-sensor room temperature control, for use with modulating heaters: An electronic control, equipped with 3 or more room sensors that varies the flow temperature of the water leaving the heater dependent upon the aggregated measured room temperature deviation from room sensor set points. Control is achieved by modulating the output of the heater. Unica i32 plus Class VI controls (Vokèra BeSMART with weather compensation via Internet look up or physical sensor) achieves an ErP A+ (98%) space heating package rating. To create a package / system label, please follow the link to the dedicated Vokèra ErP labelling tool website here.